Well, if there’s something I’ve learned from many years in coaching it’s this … we are all alike and we are all different. Not trying to confuse you but it really is true. “We are all alike” because there are many common denominators we ALL require to stay fit. Those requirements are principles that are tried and tested for all HUMANS like us. Fact: We all need to move to maintain or increase fitness, but how we get that movement can be different. Fact: We all need to eat the right foods in the right amount, but those amounts and foods differ from person to person. Fact: Practice leads to expertise, but how we successfully practice and learn differs for each of us. 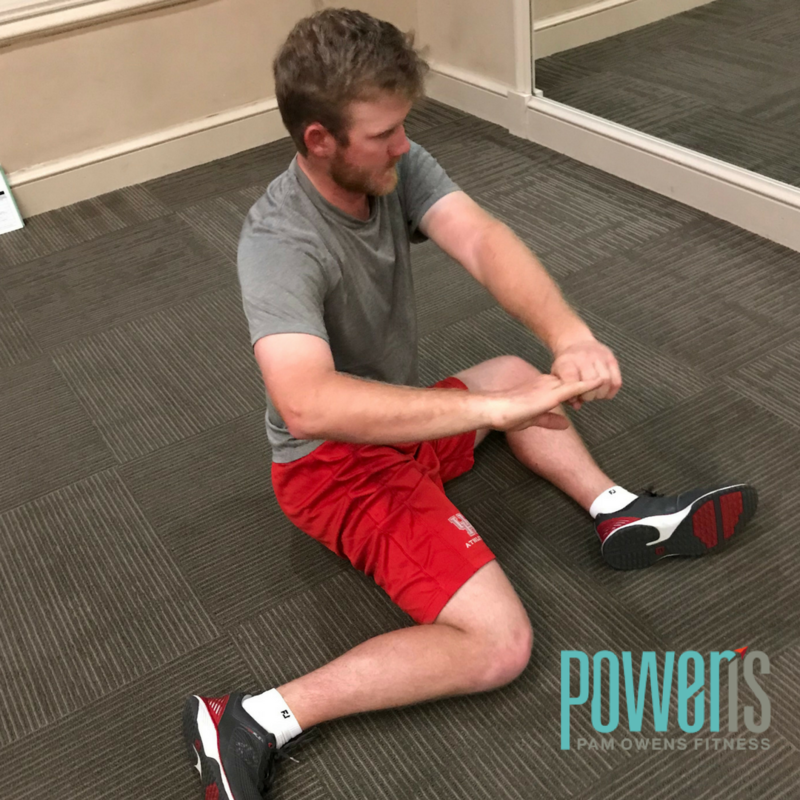 Because of my focus on rotational athletic performance for the past 11 years, I’ve learned that the successful athletes cover all their bases. They work on anything and everything that they can control. There are many things you can’t control like the weather, but there are so many more areas that can be controlled. If you focus on these four pillars for your fitness and health then you will become a lean, mean, striking machine. There’s a difference between depriving yourself, dieting and suffering through it, and building good habits that stick and ADD to your life. Suffering and deprivation don’t work and I don’t coach that way. You don’t need to be different, eat weird foods and be all woo-hoo to be healthy. I searched for solutions that work and I’ve found them. I offer online nutrition, online mobility videos and coaching sessions, in-person group mobility training, weight loss fitness programs and phased strength programs. I am all about the results. You do the work and you will get results! My programs and my coaching isn’t for everyone. I highly encourage you to explore all your options and only start with me if you are READY to make a change, ABLE to do it now, and WILLING to do the work. Change is hard and takes work. If change was easy then you would’ve already done it. Self-directed fitness and nutrition programs are harder though and have a lower success rate. You might even work really hard but be misdirected or misguided on what is best for you. With me as your coach, however, change still takes work but you can have confidence that the work and effort you give has a higher success rate to bring your desired results. As your coach, you’ll get the information you need, accountability and trouble-shooting, brain storming, inspiration and support you need throughout the process. And we’ll celebrate at the end together too! Let’s talk about what program will work for you and your goals! Contact me now at powens@pamowensfitness.com. 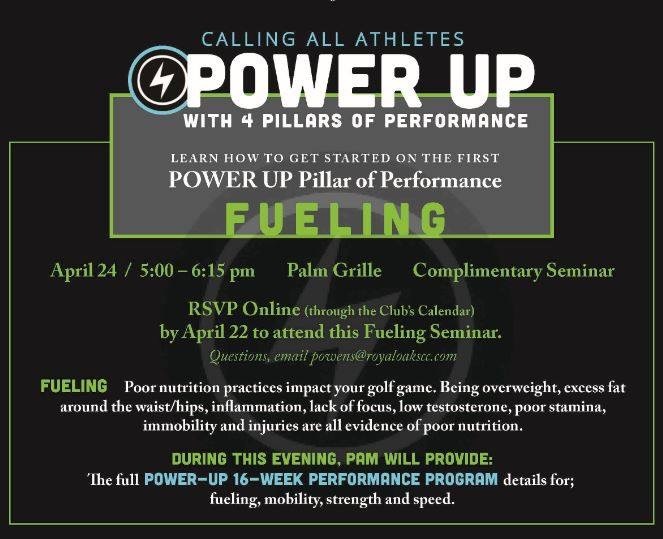 I am taking the first 15 golfers/athletes who want to improve their performance with my 4 pillars: fuel, mobility, strength, speed. The program is completely online with no appointments necessary. If you’re in Houston area, please come to my talk on FUELING on April 24 at 5 PM at Royal Oaks Country Club, 2910 Royal Oaks Club Drive. Please RSVP. Below is Curtis Reed, Professional Tour Player, who will be playing at the Valero Texas Open this week. As my client, Curtis does all 4 Pillars or Performance. He does mobility (CARs daily and Kinstretch sessions/classes), phased strength and power workouts, SuperSpeed swings protocol and follows my nutrition coaching. We’ve worked together for 3+ years now. Follow Curtis this week at the Valero!